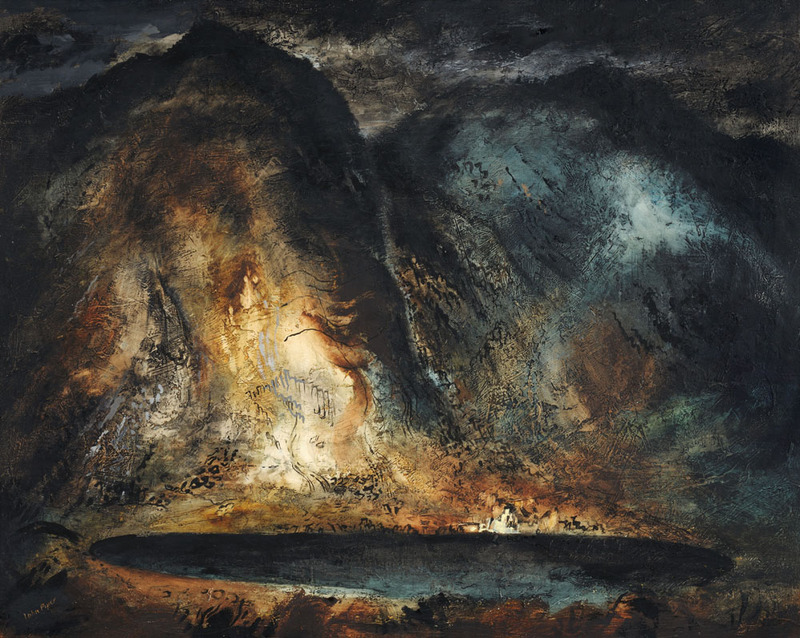 Oil on canvas on board, John Piper circa 1943-1944.
combined this with radiant golds, yellows and reds to bring to life the steep rock face of Aran Fawddwy. The use of colour here demonstrates the strong influence of J.M.W. Turner (1775-1851). The title refers to Creiglyn Dyfi, the lake in the foreground, which is the source of the Afon Dyfi (River Dovey).